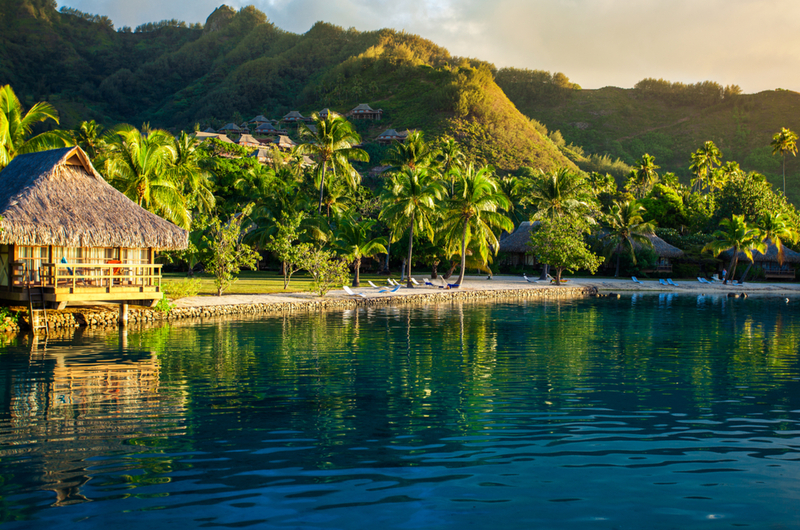 Polynesia is so much more than a pretty beach destination. I stand on Mount Tohivea which, at 3,960ft, is very much the high point of the Polynesian island of Moorea. I’m all but alone up here, gazing from Belvedere Point at a scene that Captain Cook once called his own. He popped in on his own exotic cruise back in 1777 and things haven’t changed a great deal. I wander through groves of limes punctuated by grapefruit trees with fruit the size of footballs and pass a corral of noisy goats. The trail, pleasingly shady in the South Seas heat as it zig-zags up the peak, offers fleeting views down to our ship, Paul Gauguin. Unlike the Caribbean, to which islands in the South Seas have a passing resemblance, there’s precious little here to disturb the peace. A couple of open-air shops at the basic quayside sell gaily-coloured shirts and shorts and snacks but walk away and you’re on your own. It’s the same when arriving in Bora-Bora, a place that lives up to its mystical, faraway-sounding name. We all but drift into the enclosed bay and Mount Pahia, a very volcano-shaped extinct volcano, fills our vision. It starts at the water’s edge, its greenery-covered slopes rising to a summit touched by a full moon and wisps of cloud. resort hotel beach, volleyball and pools and such, but why bother when you can wander in the sunny silence? Walking along the deserted beach, backed by volcano, I round the headland and am faced by a breathtaking sight, the pure white sands drifting off into the distance, and small, brightly-painted boats bobbing in the softly splashing surf. There really is the feel of an end-of-the-world adventure as Paul Gauguin, a luxury vessel for only 332 guests, potters between isles that have the deserted feel of a science fiction novel. You wouldn’t be surprised if King Kong peeped through the trees. And yet the ship is a divine, all-inclusive experience, a world where pale, seaside décor is dotted with intense colour touches echoing the work of Gauguin himself, the French artist who abandoned Paris for these islands where he created his rich, untutored works. There’s exceptional cuisine, combining the seafood and fruit of the South Seas with more international flavours, and there’s even a drop-down watersports platform at the stern for complimentary kayaking, windsurfing and snorkelling. After dinner there’s South Seas entertainment from the Les Gauguines troupe, lilting music and hypnotic dances. In true cruise style, there’s a day at a private island, Motu Mahana, off little Taha’a, featuring Polynesian ambiance and a barbecue beach party. 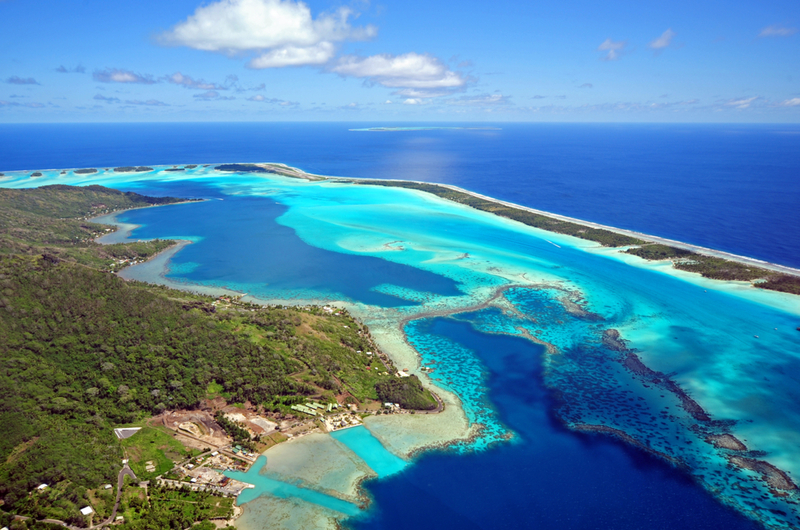 The classic seven-night cruise comes after an adventure in travel, flying to Los Angeles and then taking a flight into the unknown, circling over turquoise seas, coral reefs and lush islets before dropping down towards Tahiti. Here the atmosphere is different from the other islands, the capital, Papeete, having the feel of a provincial French port, all bustle and 60s buildings. That all changes as we leave and make our way through the other Society Islands. There are talks by New Zealander Mark Eddowes, who has spent years in these parts, an authority and researcher in the field of Polynesian anthropology who led an archaeological research committee charged with classifying the historical temple site of Taputapuatea on Raiatea island as a Unesco World Heritage Site. Excursions include many visits to beaches, ATV outings, open-air bus rides, off-road trips, boat rides (everything from jet boats to gentle catamarans), scuba diving and even helicopter jaunts, but the islands beg for simplicity. It’s tempting, even, to simply sit on deck and gaze at the scenery, but the real alternative is to simply get off and disappear into it, along beaches and up hills, through forests and past isolated farms. When Captain Cook arrived here in the late 18th century, he was the first Englishman to visit; even now I can’t get the feeling out of my head that we’re not far behind him. 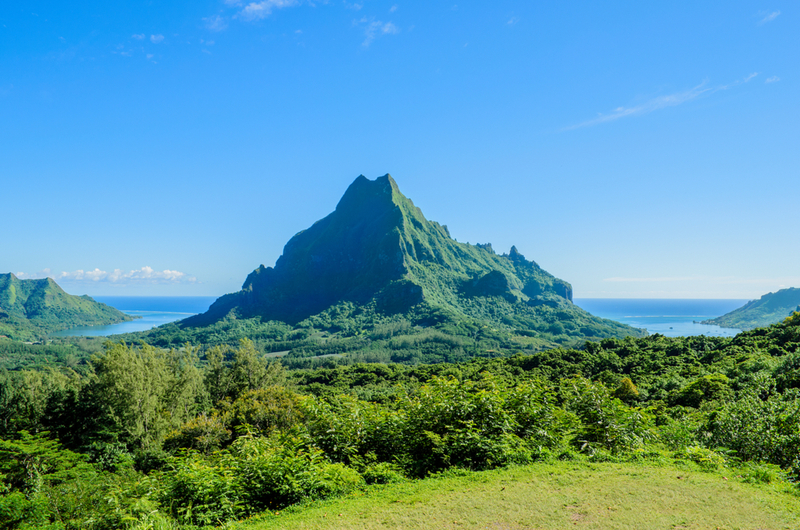 Paul Gauguin Cruises’ seven-night Tahiti and the Society Islands cruise departs year-round. From £4,714, including flights.